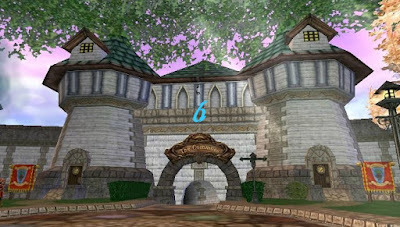 The Sixth Annual Best Little Dorm in Wizard City contest starts now! Hurry! You only have until July 19, 2015 6:00 pm Central to enter. First twist: Decorate your dorm to represent what you think a “Music your way” themed dorm would be like. Each dorm must be decorated with a Music Player, but which music player is up to you, just be sure to include that Music Player in your decorations! You have the freedom to be creative with your music players. Example: What does your music player look like? What design can you create? That's right Wizards, you have the opportunity to come up with your own theme. Only catch is you have to design it around a music player. Music player is the furniture item you can put music scrolls in. The turn: You must use all 5 items below. Plus your music player. 1. Coil of Rope or bundle of rope. 4. An egg item- Any type egg - No more than one egg item. just one!! Paragraph 1 -Write about how your dorm represents Music your way. Explain your theme. How does it work with your music player? * Using all 5 items pictured above, plus a music player. You must decorate your dorm to To represent the music box used. 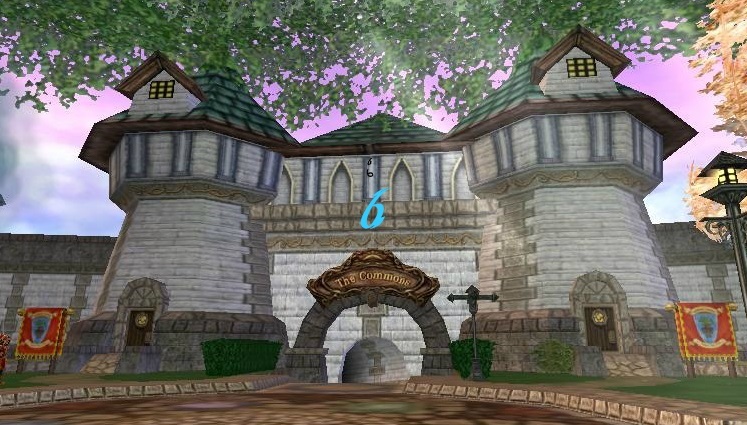 * This contest begins July 9, 2015 and ends July 19, 2015 at 6:00 pm (Wizard101) Central time. * 3 screenshots will be allowed (no videos) No links, please use attachments. Following the official rules posted above, you will decorate your dorm in a "Music your way theme" and submit with no more than 3 screen shots of your dorm along with your 2 paragraphs by July 19, 2015 at 6:00 PM Central US time. If you encounter a problem redeeming your game code, please send an email to community@kingsisle.com and include your code and Wizard101 account name, but never the password! By music your way, can we look at that as for example, how we experience music - how we feel listening to music? I will answer this time. Please make sure to add your Wizard name to questions. Your paragraphs need to explain why you decorated the way you did. My wizard name is Marcus Daysmith. i dont have the jousting rack, egg or the small smoke stack. How will I be able to partake in the contest? Hey, I would like to clarify something that was a little vague in the description, cause I don't want to get penalized or disqualified. I understand you HAVE TO HAVE the 5 items and any one of the music player ITEMS in the dorm, but I'm confused about what you mean by around and a little confused about the theme. Like you literally want us to decorate AROUND a music player? (like you want us to literally put it in the center of the room and decorate around it?) Or metaphorically, you want us to pick a music player and theme it as the music player? (like if its the pyramid music player, you want us to decorate dorm Egyptian looking and focus on that and only the look of the music player itself)? Or you want us to just put it somewhere in there, and decorate it along the theme of music in general? (so like the theme is music, and the music player is just in there) Its like I feel like the theme is so vague and if i dont fully understand the theme, it may not turn out to be what you were looking for and may not even qualify! Cause if I miss something, I'll decorate it wrong, and i need to no the limits of what you specifically want! Thx! Okay Basically whats this means you you can take a music player and either design your dorm room around it. pretty much just like the music player looks, or you can make it metaphorically The judges are letting you have some freedom this year. Remember your paragraphs will mean a lot. The music player and items have to work into your dorm some how. We cannot hear the music. So if your basing your theme on the way your feel. You would need to make us feel that away too. Maybe your music player isn't a music player in your dorm. Maybe it represents something else? Does this help understand? Can the 5 items be only for decoration? or for the music player? Not sure what your asking. Can you use more than one music player? Does the basket of eggs item count as a single egg for the contest? I am Jacob NightHunter again. I created a new wizard on my account so I didn't have to replace my old dorm. If I decorate the dorm on my second account (Eric NightRider) will I still be able to get the rewards on my other account if I win something? You may only enter one dorm. If you win your sent codes. How you use those on your accounts is up to you. I am a little confused about the 'designing your dorm room as a music player' thing. Do we have to use an actual music player physically placed in the dorm room (as in a furniture item that contains music scrolls) or can we use a random object and call it a "music player"? example: creating a forest themed dorm and saying a rock is a "rock shaped music player"? That's the fun part can you write about your dorm? What I'm doing right now is that I'm getting a regular music player , I'll be putting it in the middle of my dorm ,......... if the scroll I chose had a specific theme I'll be decorating the dorm according to it. Am I doing it right ? Im sorry we cant see or hear the music scroll. im so sorry but this is my last Qs . Should the dorm be decorated according to a place in the spiral. celestia , WC etc........? Nope, It can be decorated how ever you choice. This is Jacob NightHunter. I've been decorating and my dorm is in an outdoor scene. The dorm room windows and the door don't don't make sense in the scene though. Will having windows in an outdoor scene hurt the judging score? I have a few questions, I know all items should be found at the bazaar, but I can't find the small smoke stack at all! do you know why I can't find one or where else I can buy one? also does it just have to be those 5 items or can we add more deocor? Oh second part of question. You have to have those 5 items plus your music player, though you can have as many items as you need to complete your decorated theme. 1. Can we only use one music player or can we use more than one? 2. Can music players be sunk into the ground and still be valid? Like where you can only see the tops of them? Okay, I have a question about the egg. I understand it said, "any type" but I was just wondering if you knew where the basket of eggs were. I looked it up recently, and it said you can get it in a pack.. I dont have any crowns right now, so if you know anywhere else I could get a basket of eggs for gold, please tell me. 1. Does faberge count as an egg? 2. Can I use the BOXES players for the music player? 3. Do I have to show some the actual parts of the smoke stack or can I just use the smoke? 3.Yes we have to see the smoke stack some how. Even if it just shows the smoke coming out of it. You have to make sure we see it. So if its just a plain WC music player is it okay if I represent it as something "more" than it looks? Like for example, it was owned by so and so, or details that make it special? May I use more than one of the items listed that aren't the egg or music player? Would a Breakfast Pan count as an egg item because it has eggs on it? Hey Paige i accidently sent three emails that i had not done correctly i made a 4th one that i will mark so you know but im just wondering will i get disqualified? Hi, I was wondering since me and my brother both share the same account, could we both enter? Or only one of us? You have to have your own email a to enter. I understand that there may be more family members who want to enter. You do have to have your own dorms and emails. Hey it's Eric Deathsword. I was wondering, can i use pets, mounts or seeds in my room?? Also is it a problem if my wizard is shown in the photos with Ctrl G?? Just to be clear, whats the subject of the email? Dorm contest, music your way. My dorm entry. 6th annual dorm contest. All these work. Paige one more thing, by saying music your way you mean i need to explain what does music mean to me or what does music mean in my dorm at that specific time?? Music your way is because you have to use a music player. On my second screenshot I have my potted arrangement in, but its hard to see because it is so tiny. Is that OK? No if you look at screenshots required, you will see one that has to have your wizard with name showing is in only the one without using control G. All the other 2 don't have to have your wizard showing. Hi I read the rules very closely and if I understand it right, for my best overall screenshot, I don't have to have all five items plus the music player in the picture as long as they are in the other pictures? would the dorm be judged on the fact that I didn't have all the items in the one picture? If you didn't show all 5 items plus the music player in any of the other shots then I would make sure we see them in that shot. The main reason for 3 screenshots is to give you the ability to show he whole dorm. Just makes sure the shot with you name shown is no control G.
I forgot to add a line at the end of my paragraph that I think would make a big difference. Is it okay if i add it somehow? @Paigemoonshade, I already sent my entry so is it still okay? No, it can be any type of room you like. This is Jacob NightHunter/Eric NightRider. My dorm is split into three sections. Is it fine if I take a screenshot of each section, or should I try to cover two sections in one screenshot to have room for an overall screenshot? Sure make sure one screen shot has your wizard name showing with no control G.
This is Jacob NightHunter/Eric NightRider. Can my wizard's name be shown in one image and be invisible in some of the others? So should I just send you another email saying that I want to add the new sentence to my entry? Thank you for being patient with my questions. Dont you have 2 paragraphs. Sure send another email. This is Jacob NightHunter/Eric NightRider. After the description for writing paragraph 2 it says in parenthesis, "Be sure to tell the Judges how you used each of the 5 items, plus your music player and how they worked into your dorm theme and design." Is that statement describing what to put in the second paragraph, or the entire paper? but would we get extra points though? Also one more question. Do the codes have an expiration date? I really depends. When I post them on my blog they seem to go very huge. When they come in the email they seem to be smaller. Don't write a full page? It would really be very large on my blog. Hello! Fallon here. I'm wondering if the spider EGG sac can be used as the egg item. Thanks! You can use as many items as you like to create your dorm room. There one restricted item. Will you use 2 screenshots when you announce a winner? or only one? should there be a subject? if so what? And will the winners be notified before? Is this a everyone wins contest? No that is fine. I understand the internet can be a tricky thing. will there be anything being judged off of grammar or spelling? No I realize people don't speak English. I also know I have young players. I just realized I never labeled my picture A,B, or C. Well just hope it's fine. Thanks for the contest Paige!